Whether you want to share your passion or hobby through a blog or you are a business owner trying to increase your sales, WordPress for Beginners will be able to help you to make a professional website while saving you a lot of money. 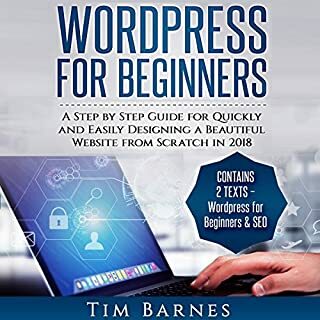 Perfect for the beginners, WordPress for Beginners will talk you through the whole process to the end of creating your very own website with WordPress. 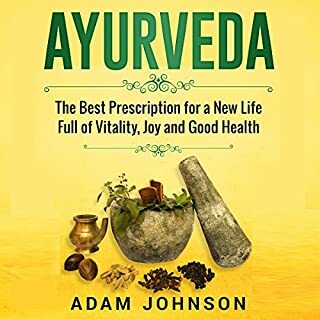 The principles of Ayurveda, an ancient set of practices that has become the primary health care resource in India and other Eastern countries, are tried-and-tested techniques that can help you overcome fatigue, illness, and general discontent in life. This audiobook will provide you with those techniques to help you achieve a life of positivity, energy, and fulfillment. Think of it as a prescription for a better life through holistic therapy. For those of you who are tired of the tedious struggle of cooking in the kitchen and are looking for a better way to cook quick and easy meals, then the Instant Pot is for you! You know longer have to break your back spending hours watching a slow cooking Pot Roast. Just toss it into the Instant Pot, press a couple of buttons and your Roast is done in a matter of minutes. The revolutionary method of pressure cooking that the Instant Pot employ allows to prepare healthy food in an incredibly short amount of time. The Instant Pot not only cooks fast, it cooks well; creating restaurant styled meals through precise pressure timed heating. And the Instant Pot is not just a cooking pot, this all in one device can also work to emulate just about kind of cooking apparatus you could think of. If you need a rice cooker, just press the rice button on the menu screen, and if you need to saute your veggies, or brown some meat just press saute. You can even turn the Instant Pot into a slow cooker by pressing the slow cook option. 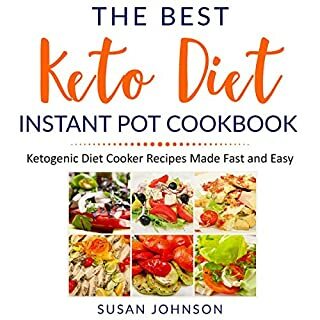 Get your copy of this amazing instant pot cookbook today. Every recipes is given with full of detail, I have tried many of them and really enjoyed it. 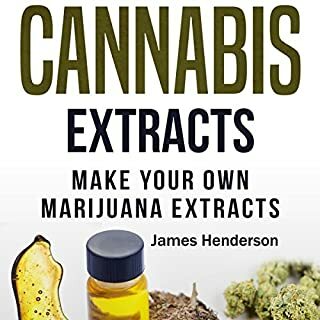 I would like to recommend this book to everyone. 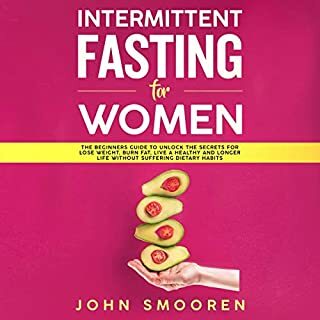 I am obsessed with my instant pot and this book really helped me understand how to use it and make delicious recipes. I recommend this for anyone who buys an electric pressure cooker. 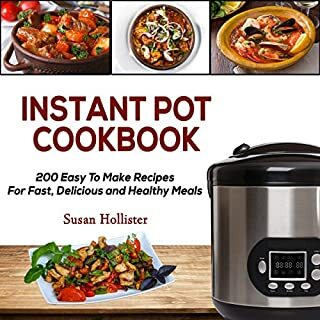 This book contains a great selection of recipes for all times of the day that you can cook with an instant pot. I especially liked Fish and Seafood section. This book is very useful for me as an instant pot user. 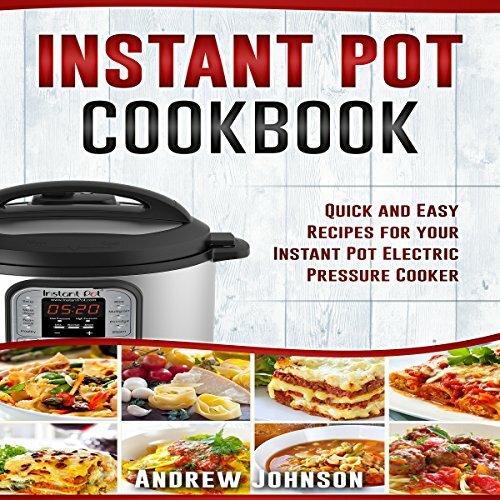 I liked the idea of using this instant pot cooker for cooking and this book makes me just want to try instant pot and its wonderful and well-compiled recipes very soon. Instant Pot Cookbook is the complete guide to getting you using your Instant Pot like a pro. Download now and start enjoying good food, while increasing your free time. Recommended for all! I absolutely love cookbooks and this one I’d say is a keeper. Looking forward to trying out the rest of the recipes and mastering the Instant Pot. Tried several recipes, they were great. This is a fantastic basic cookbook to get you up to speed using the Instant Pot. I love my new Instant Pot but I’d gotta say that it looked a bit daunting at first. This book makes the perfect companion. I’m trying new recipes every day. Loved this book. Have been cooking for many years now and still found some great new things I could try. Very excited. This book helps me learn how to produce great tasting food for an entire family in a fraction of the time. It’s indeed the perfect guide to quick, easy, healthy and delicious recipes for breakfasts, lunches, and dinners which are perfect for everybody and include such delicious treats. It’s really astounding.Strongly suggested for those who want to prepare fast and easier meals. Yep, I'm working full time, so Instant Pot is my great time-saver. Also, thanks to its multifunctionality, IP saves my money. Well, we have a good number of tempting recipes here, in this book. mushroom gravy is just my favorite dish for now. And you should try that sweet-sour shrimp stew. Strongly recommended! This fully packed book with the recipes in the hundreds of them will help me to make the great and memorable meals for the family especially as the festive and the holiday days are approaching. This book is worth the price.